I want to preface this post with this statement... It is good to be good. I believe all good comes from God and is something that blesses our world, communities, homes, and us individually. I would say almost every single person I encounter is 'good'. They have goodness in them. We all do. Even those of us that struggle with life situations and hard decisions, unfortunate upbringings and unfair surroundings, all of us have goodness within us. We are good. I've recently thought more about this as people near to me have stated that their belief is to 'just be a good person'. They will be rewarded for that in whatever realm exists for that. I agree that there will be a reward for goodness. 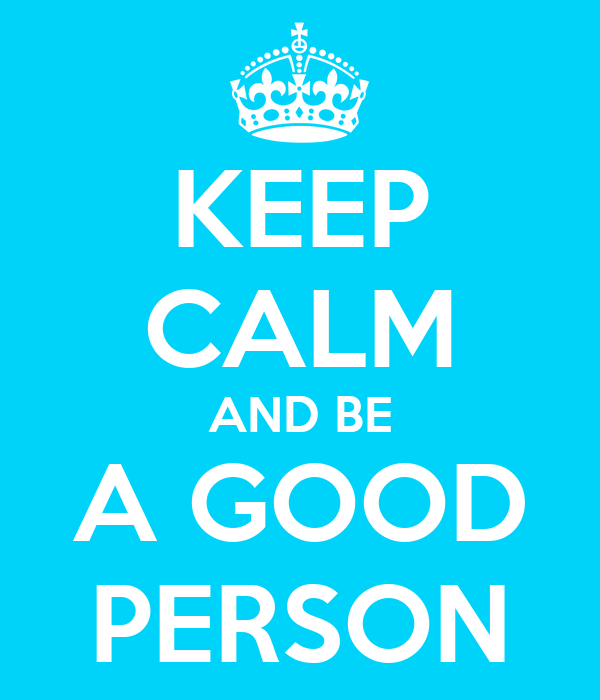 Being a good person is good. How do we measure goodness though? And is it enough to just be a good person? Is that the design for us? Are we selling ourselves short by not striving to be great in our own capacity, rather than just good? Is there some complacency in settling instead of striving? The person who goes about his own business, causing no trouble, living his life, he is good right? He doesn't cause any harm to anyone, doesn't take or belittle. He is good. What about that person who's goodness affects those around him a bit more? He is the one who says hi to people, opens their door, looks for opportunities for his goodness to exist outside of himself. What about that person who on top of looking outside of himself is striving to become the master of himself, bettering faults and habits, striving for change and knowledge, continually striving to not only be good, but to reach his full potential? I believe they each are greater than the other. How do you change and become better if being good is good enough? If goodness is fine, what motivates us to be better? I've wondered if we limit ourselves by saying its enough just being a good person. If we hold ourselves to no standard, or a standard that is so general in itself, how do we achieve greatness? What do we use to measure this? Are we afraid of ideals? Is there no happiness in them, no purpose for them? Do our own seem too far out of reach? Why do we shrink in the charge to aim for and progress to perfection? I think there is great happiness awaiting us as we strive for greatness, as we reach and stretch toward ideals, whatever they are. It is in my nature to strive. In many realms of my life I evaluate, I see where I can do and be better... from my race PR, to how I mother, to how I care for my home, how I feel about myself, how committed I have been to scripture study... I see and evaluate and try to improve... constantly!!! And there is always work to do, progress to make. I find happiness and joy in striving. As I look back and see how I've changed, as I see progress in myself I am filled with joy. The process is satisfying to me. Those around me benefit as well. I'm sure it is true that we are not all that way! We don't all naturally strive to be better than what we currently are. But can we change that? Of course!!! The question is do we want to!? I wonder if we are missing out... on ourselves, on experience, on others, on growth and change. Being a good person is good. Does that alone challenge us enough to make us great? I believe there is more potential in us than just 'being a good person'. I think we have the potential for greatness, all of us, but it requires more effort than just being good. And, I do believe goodness is rewarded. I think greatness is not only rewarded, but becomes an achievement that has been earned by what we have put into it.